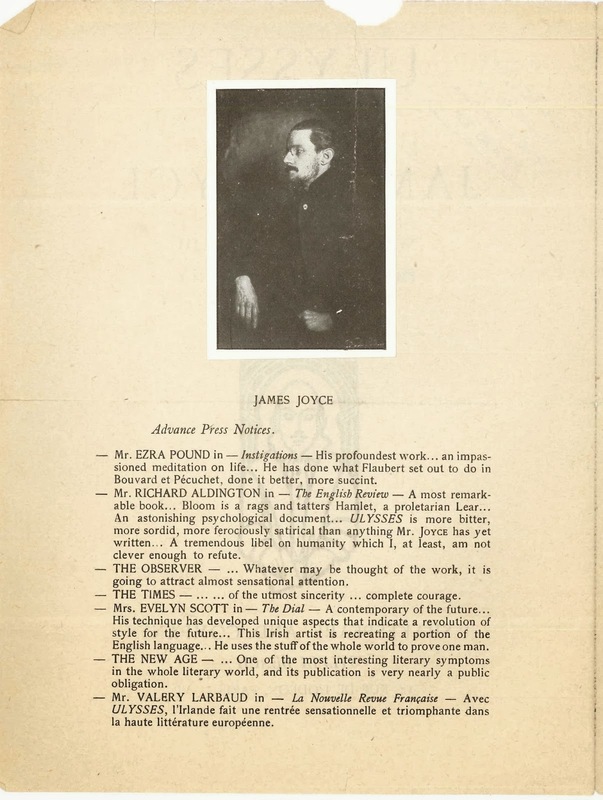 Imagine setting the type for James Joyce's Ulysses.... There is one 43-page run of text that consists of a only six paragraph breaks and no punctuation. Scattered through the book is music, headlines, and a made up word here and there. So it should be no surprise that the first edition ran a little behind schedule. 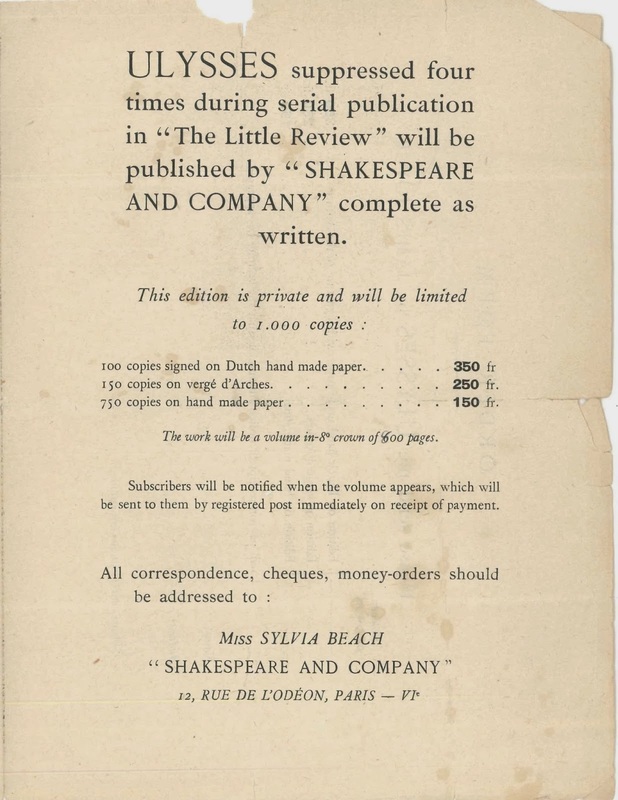 Laid into our first edition is concrete evidence of Sylvia Beach's frustration: the original prospectus from Shakespeare and Company. 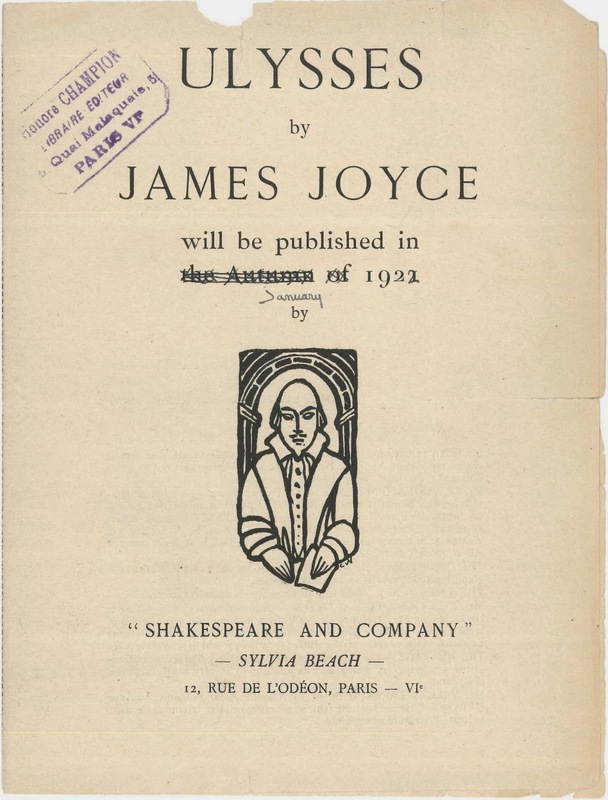 "The Autumn of 1921" is mostly scratched out and corrected by hand to read January 1922. Inside, the physical description of the book has been modified from 600 pages to 800 pages (it comes to 732 in the final version). 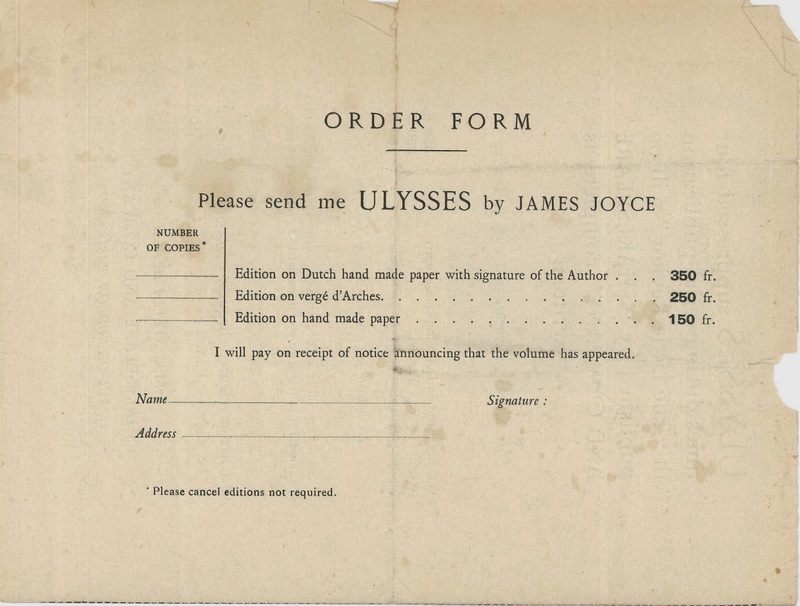 The order form would appeal to any book collector. It advertised the price of 350 francs for the deluxe version on Dutch hand made paper. As of this writing, there are two copies available priced over $200,000. Our copy is the pedestrian 150 franc version on hand made paper. To see it with the first edition, ask for Val 827J853 X71.